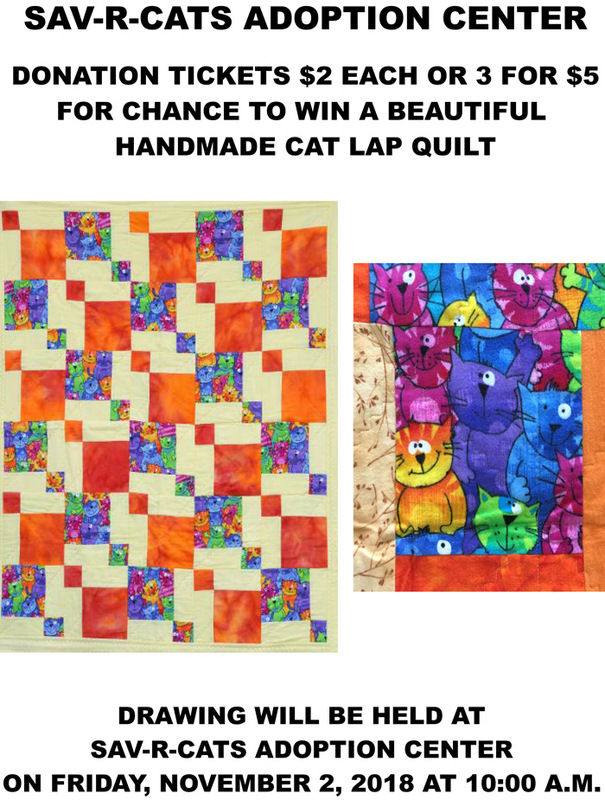 News | Sav-R-Cats International, Inc.
We are selling raffle tickets for a chance to win a beautiful full-size quilt. Your ticket stub(s) will be mailed to you. This entry was posted in Fundraising, News on September 18, 2018 by savrcats. During a recent Board of Directors meeting, it was decided that since our VETERANS give SOOOO MUCH of themselves to keep us FREE, Sav-R-Cats would like to “THANK THEM FOR THEIR SERVICE” by reducing the adoption fee for any Veteran (with ID card) who would like to adopt a cat from Sav-R-Cats. 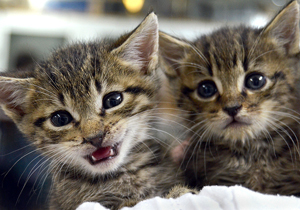 Some animal shelters and rescue groups charge up to $100 for adopting a cat. Sav-R-Cats’ adoption fee is $70 and VETERANS would pay a reduced fee of $50.00. Adoption fee includes a wellness exam, spaying/neutering, first shots, worming/flea treatments and rabies vaccination if the kitten is old enough. 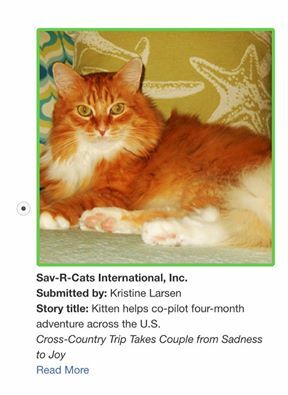 This entry was posted in News on March 16, 2016 by savrcats.